@BeddieKU23 Was there a recruit in last week? My daughter was on a shuttle at KCI with a tall player and coaches decked out in KU garb. @kjayhawks Try “The Staircase”. I watched a couple of months ago. Really interesting court case. @BShark Actually that looked a lot like the Vick we saw the first semester last year. I think he was high point man thru December. @KUSTEVE I thought KJ was impressive in limited minutes. Walton is on a different planet. Vitale is a good ambassador for college hoops but as a commentator he spends way too much time hyping the next game etc… Seldom talks about the game that is going on. I personally like Bilas, Miles Simon, & Fran as far as staying on the game at hand and having some (X/O) knowledge. Dedric reminds me a bit of Collison’s game. Very smart and in position all the time. @BeddieKU23 By rep Frank wasn’t, on the court he was the POY. I believe Fran owned up to that mistake. Fran also has the most knowledge I have seen about foreign players. 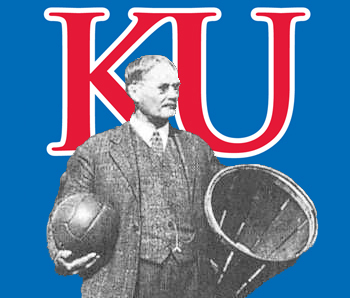 He knew all about SVI before he came to KU.